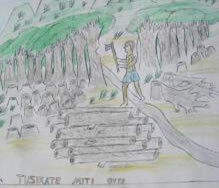 FORS conducts environmental education in 24 primary schools in Idodi and Pawaga, communities that border Ruaha National Park . Our program is based on the national curriculum, and we have developed original, interactive lesson plans focusing on four modules: water, weather, wildlife, and forests/fire/soil. 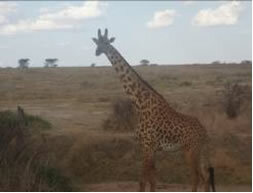 We organize extensive teacher training and follow-ups with each of our schools, and also conduct supplementary activities such as educational safaris to Ruaha National Park , environmental film shows and World Environmental Day celebrations. FORS organizes training workshops and regular follow-ups. Aims are to get feedback on the EE program, evaluate student learning and introduce new projects. 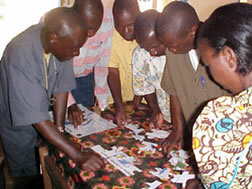 In addition, FORS staff model participatory teaching methods that teachers can use as they implement the EE program. 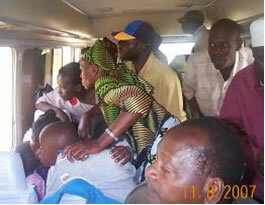 FORS sends 3500 students and 200 teachers to Ruaha every year. 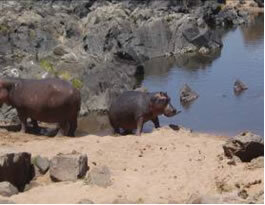 Even though these communities are so close to the park, very few villagers have had the chance to observe, explore, question and experience the ecosystem they are asked to protect. 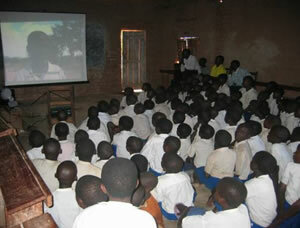 To raise awareness about environmental issues, FORS conducts annual film shows. 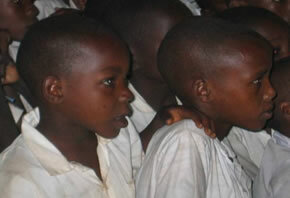 15,000 schoolchildren and 10,000 villagers attended the shows in 2008. World Environment Day is a United Nations global celebration that takes place every year on June 5 th . FORS uses this day as a platform for showcasing the work of primary school students, empowering them to become active participants in sustainable development in their communities. 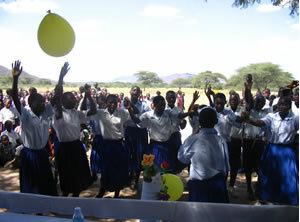 Student activities include dances, songs, drama and poetry, as well as speeches given by local environmental experts. FORS' goal is for World Environment Day to inspire people to share messages of conservation and respect for the environment with family, friends and fellow community members. FORS' annual storyboard event is a chance for students to recognize the importance and value of cultural traditions, and to understand that care for the environment has always played a prominent role in the life of the community. Students are encouraged to talk to family members, especially elders, for inspiration and ideas for their stories. 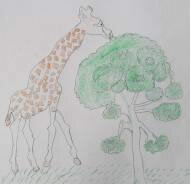 Each year Standard VI students participate in a drawing competition in which they work together in groups to create an original, illustrated story that reflects the year's environmental theme. Winners are announced at World Environment Day . World Water Week (WWW) is an international event held in March every year, designed to review the development of the water sector and problems related to water. 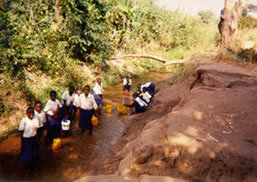 During World Water Week, every FORS school puts together outreach activities in the villages. Some schools march through the village holding banners with messages about the importance of water, others sing songs about water, others clean the water sources in their village. 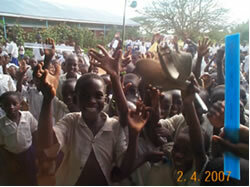 During World Water Week, every FORS school puts together outreach activities in the villages. 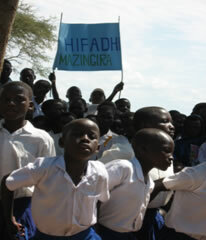 Some schools march through the village holding banners with messages about the importance of water, others sing songs about water, others clean the water sources in their village.